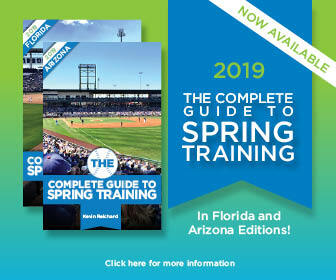 We’ve posted the Cleveland Indians 2019 spring schedule, as the team prepares for another training camp at Goodyear Ballpark in Goodyear, Arizona. The Cleveland Indians broadcast schedule is out for 2018 spring training, with 15 radio broadcasts on various local outlets and 10 television broadcasts on SportsTime Ohio. We’ve posted the Cleveland Indians 2018 spring schedule, as the team prepares for another Cactus League training camp at Goodyear Ballpark in Goodyear, Arizona. We’ve posted the home Cleveland Indians 2018 spring schedule, as the team prepares for another Cactus League training camp at Goodyear Ballpark in Goodyear, Arizona.